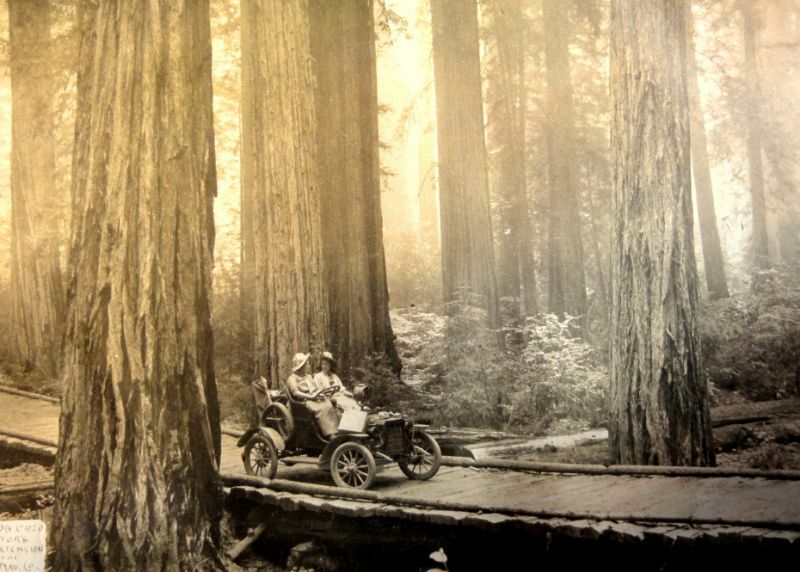 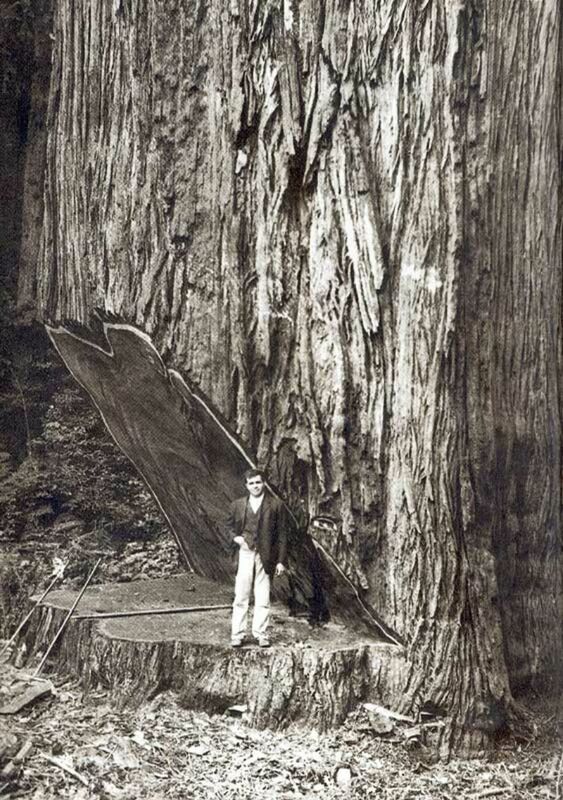 It is difficult to imagine what the first loggers felt when they first saw the coastal redwoods. 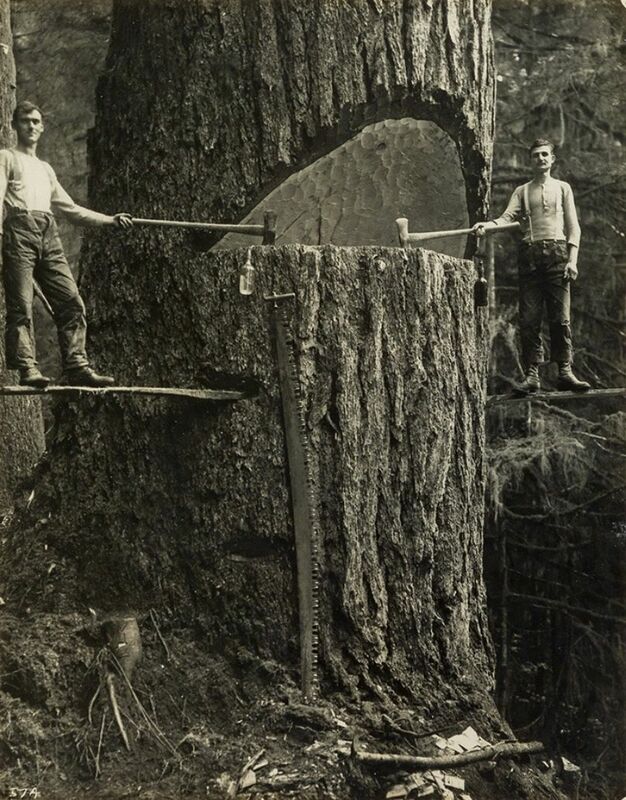 It takes a lot of moxie and muscle to down a three hundred foot high tree. 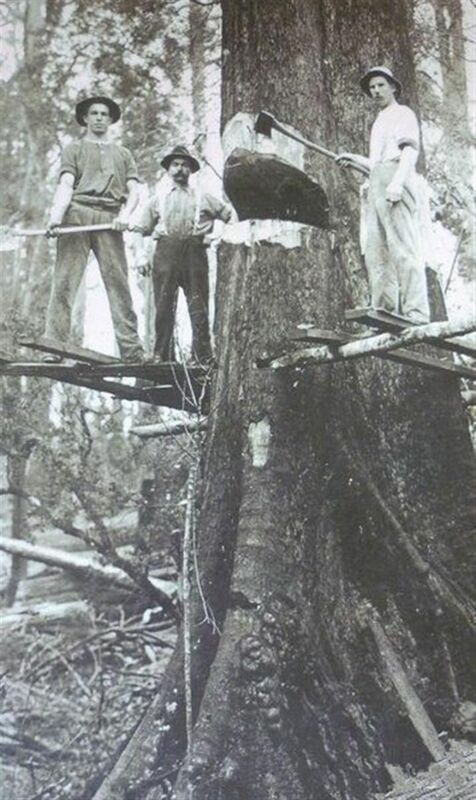 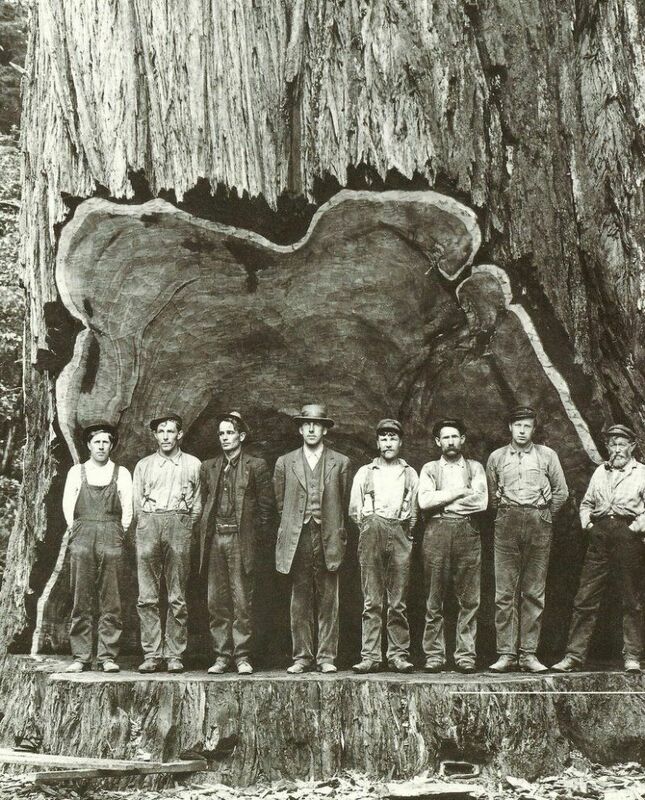 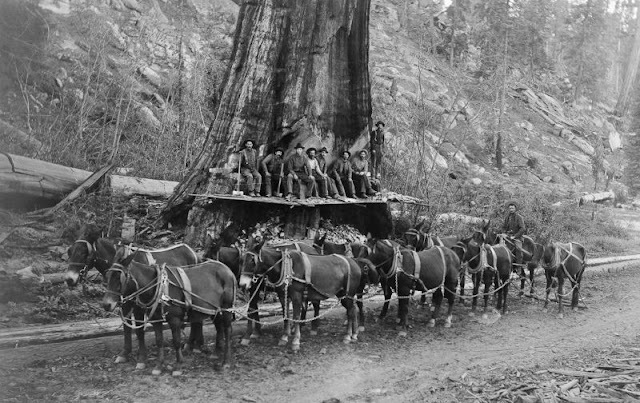 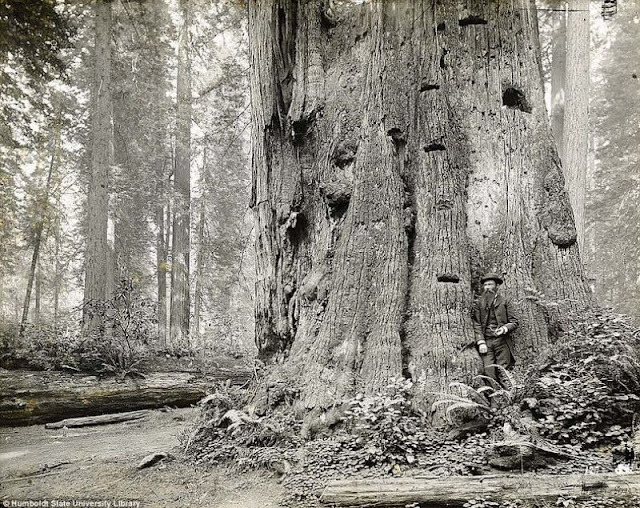 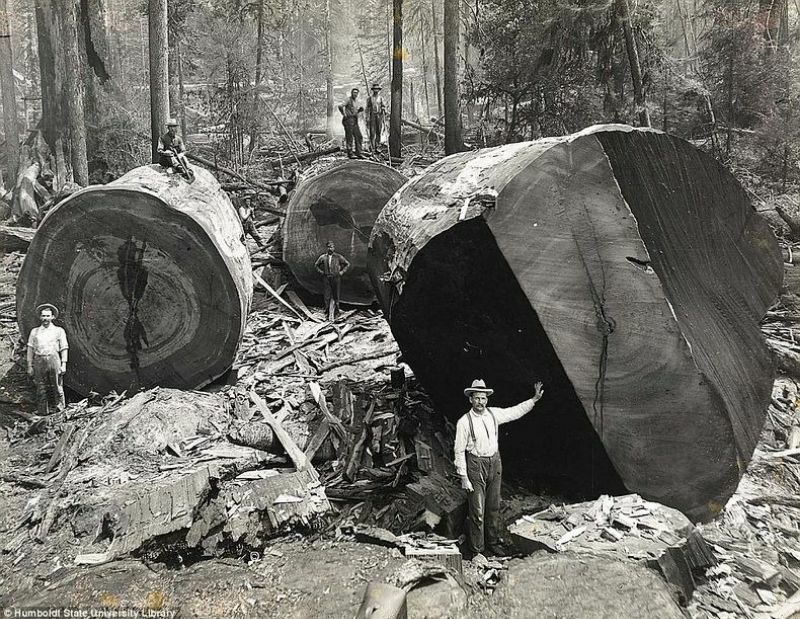 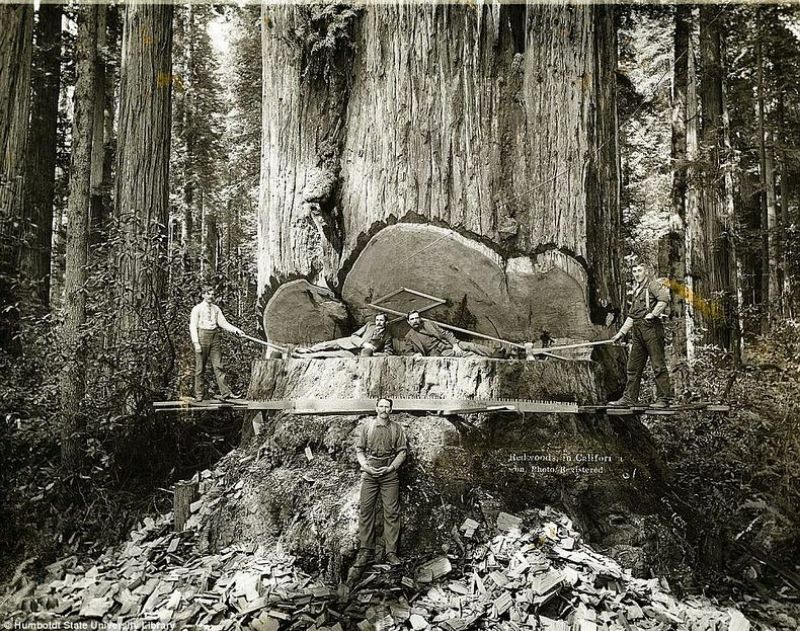 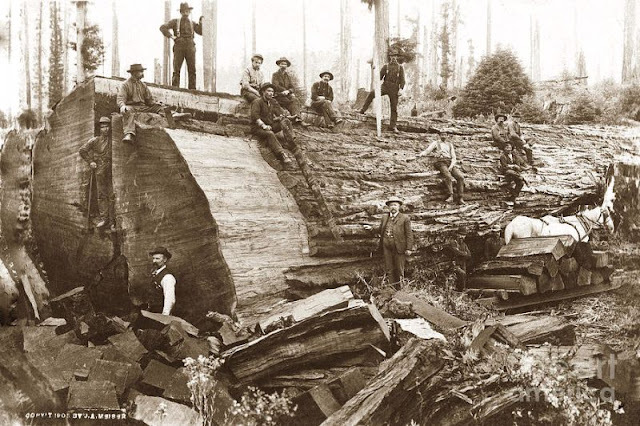 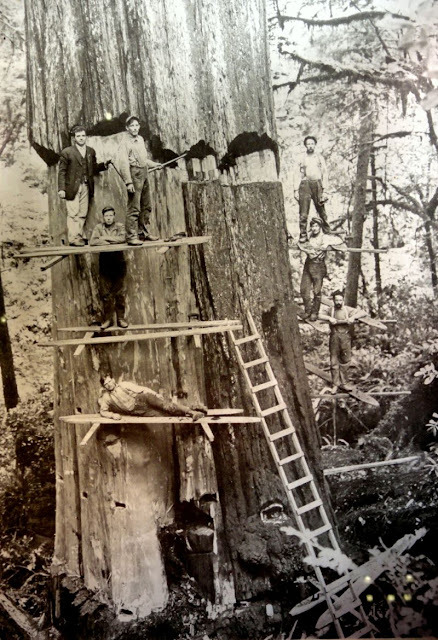 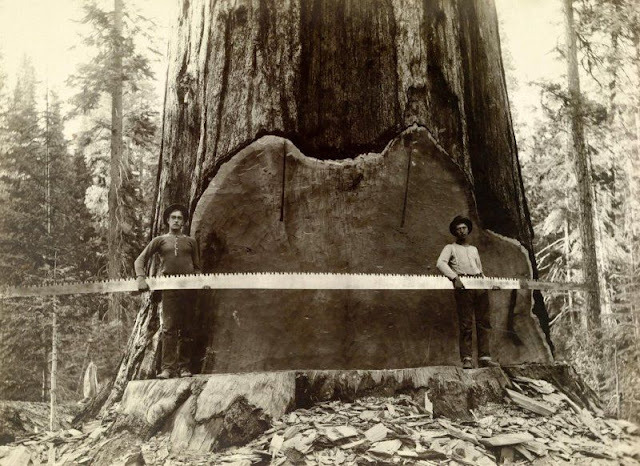 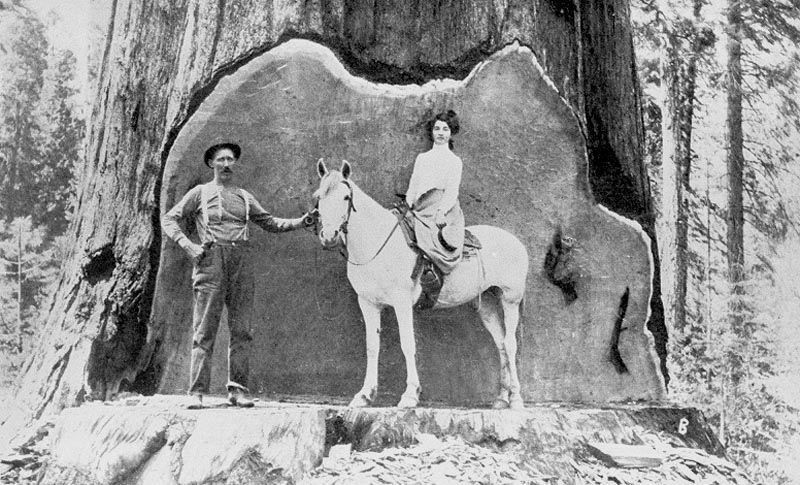 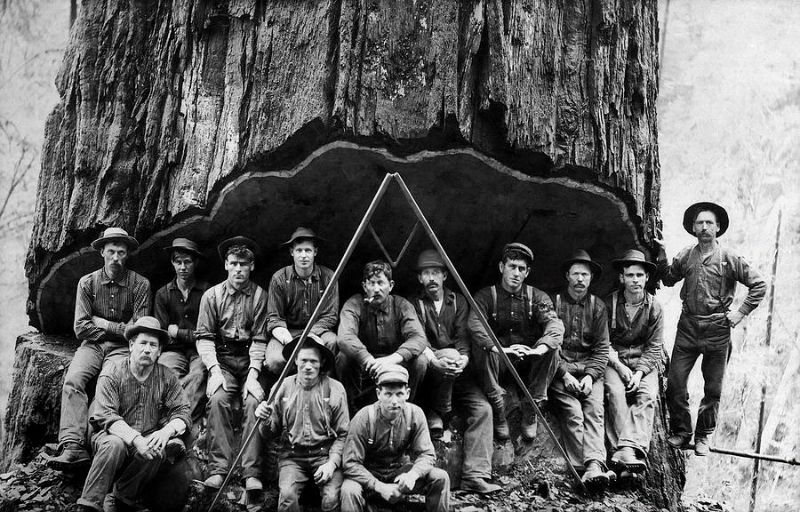 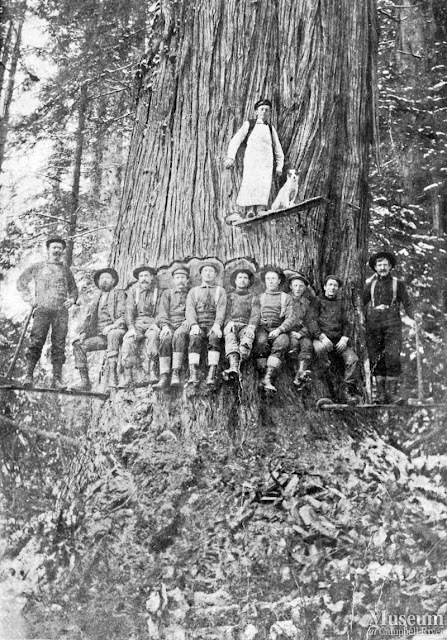 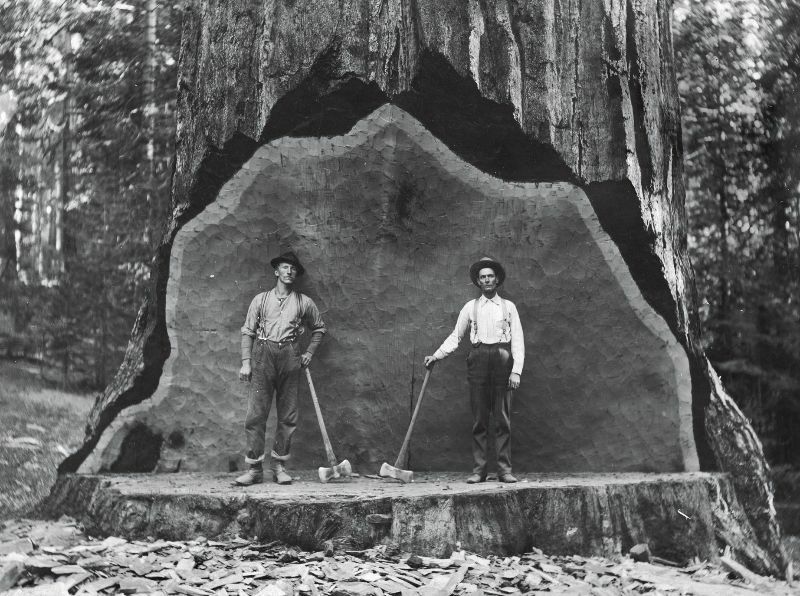 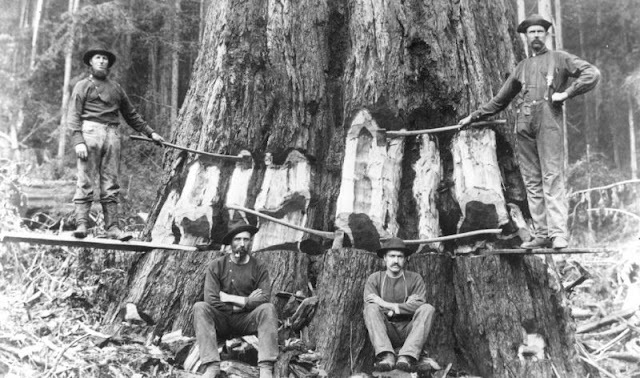 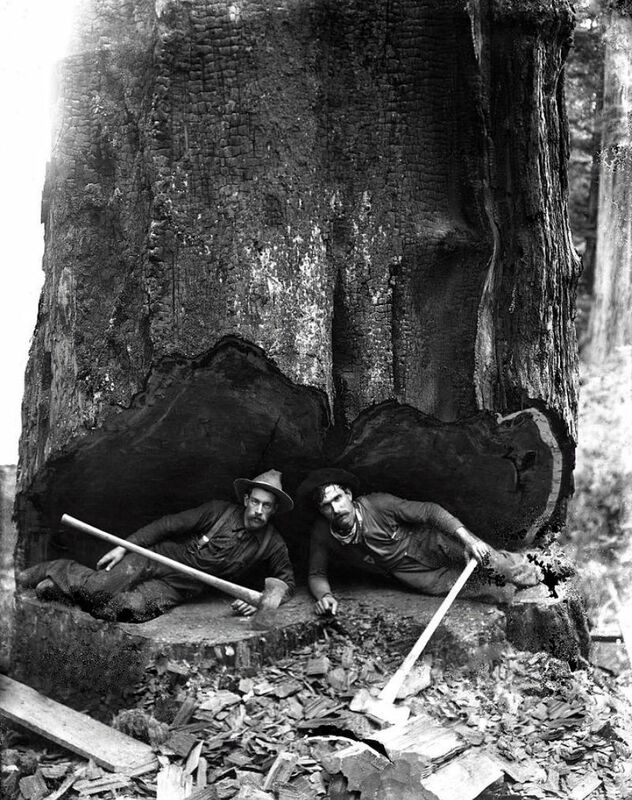 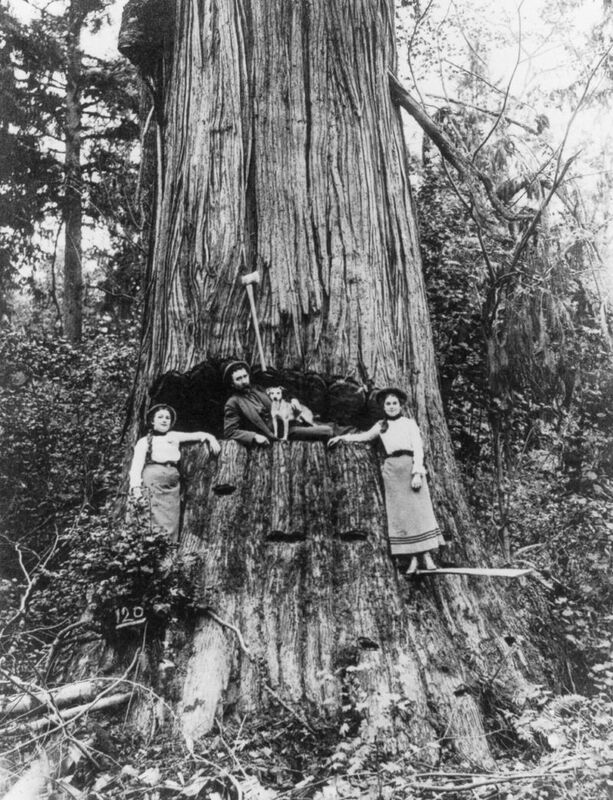 Lumberjacks, many of whom came from farms before heading to the woods to make money logging, took pride in the trees they cut and posed for pictures on massive stumps using the growing technology of photography. 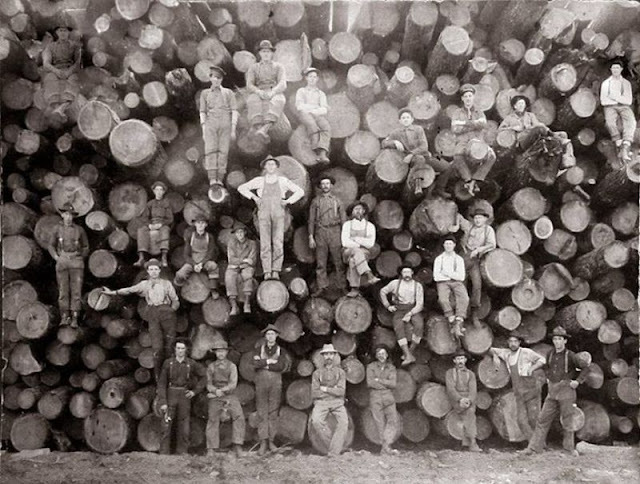 While the work was dangerous, the woodworkers also developed sports such as logrolling that are still practiced by outdoorsmen in competitions today. Though the job of lumberjacks has since largely been mechanized, below are photos of lumberjacks from the turn of the last century as they looked to make their mark on America using only hand tools.